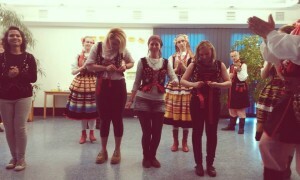 Warszawa is the city chosen to pass the first of the two Trainings that each volunteer is invited to attend to during our EVS. 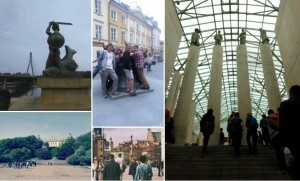 Different nationalities, different cities of destination in Poland, different languages… but approximately the same time of being newcomers in this new country. This training offered us the opportunity to reflect, answer to questions, play, and meet the complicated, beautiful and historic Warszawa. Also, it helps to connect and tend bridges of respect, understanding and empathy. 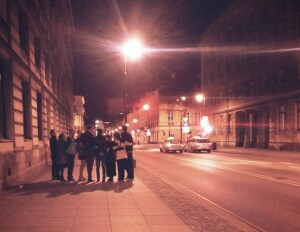 With the passing of the days, we created a little family that walked through Warsaw shoulder to shoulder. Will we meet again? Nobody knows, the only thing that we know is that in another city in this country, we have another person in the same situation as us with open arms to welcome us. My arrival on Warszawa was somewhat disastrous. I took the correct tram, but in the wrong direction. Then, a long time trying to find the correct bus without map nor internet, but fortunately, I found it with the help of a kindly girl from Warszawa, who at first, seemed as lost as I. Two minutes to get off at my stop, two camouflaged men asked me about my bus card. That cost me a couple of tears but fortunately finished well and I hadn’t to pay the fine. Already in the correct and long street, I walked straight without finding the entrance to the hostel, which was just at the beginning, but hidden under the bridge… I was the last to arrive, of course. After that, levels of stress, fatigue and despair were high… This is what the people saw in my face the first time, so good! Luckily, a “bad beginning” didn’t mean a bad omen. 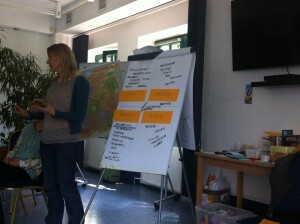 We started the first day with the training presentation prepared our two trainers, Marta and Anna. Marta, extravagant with her peculiar colorfull leggings with candies on them, so fun, and dynamic as her personality, and Anna, a more quiet and calm person with a very interesting aura. They tried to put a little bit of energy in our sleepy minds, inviting us to participate in the training contents for these days. Then, we started to talk about our nationalities, EVS and we played games that helped us to remind our names. Everyday we started with this kind of plays, and for me that was very useful because I’m a disaster to remind the names of the people. The weather also helped so we could take long walks by the beautiful Łazienki Park which was next to the hostel, meanwhile doing some activities of the trainig. We had also the oportunity to visit the Library, and enjoy a tourguide by the ancient city of Warszawa, which made us change the idea that we had about this city to more enriched and interesting vision.